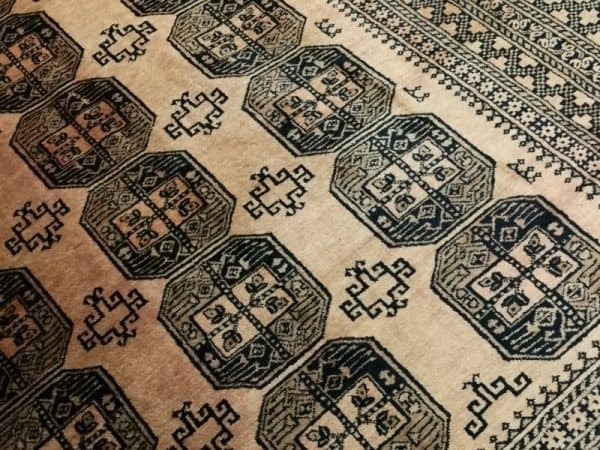 The Turkmen or Turkoman people are settling in villages in Afghanistan an Turkmenistan near the Persian border. 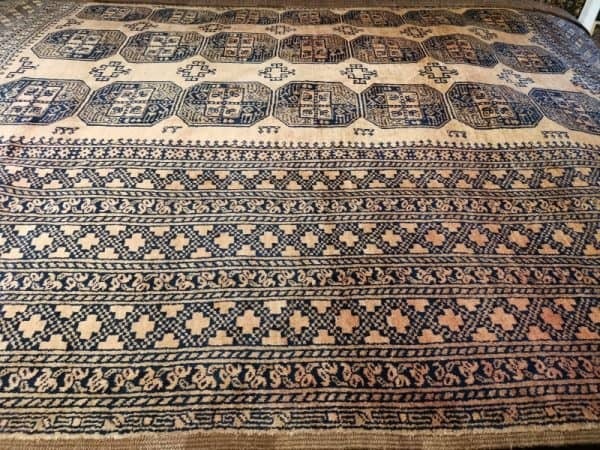 Their origin is tribal nomadic, but most members of the tribes have settled in villages in the last decades. 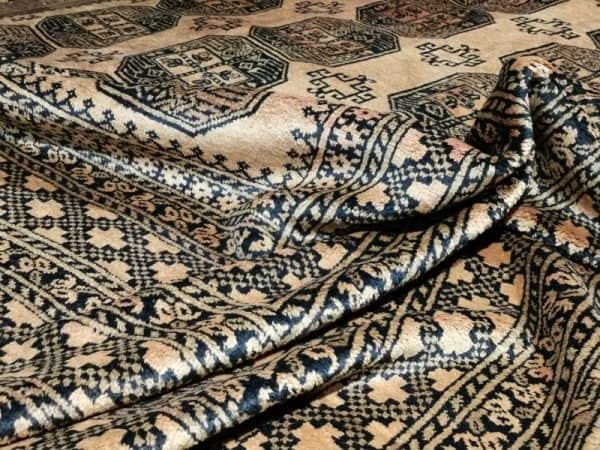 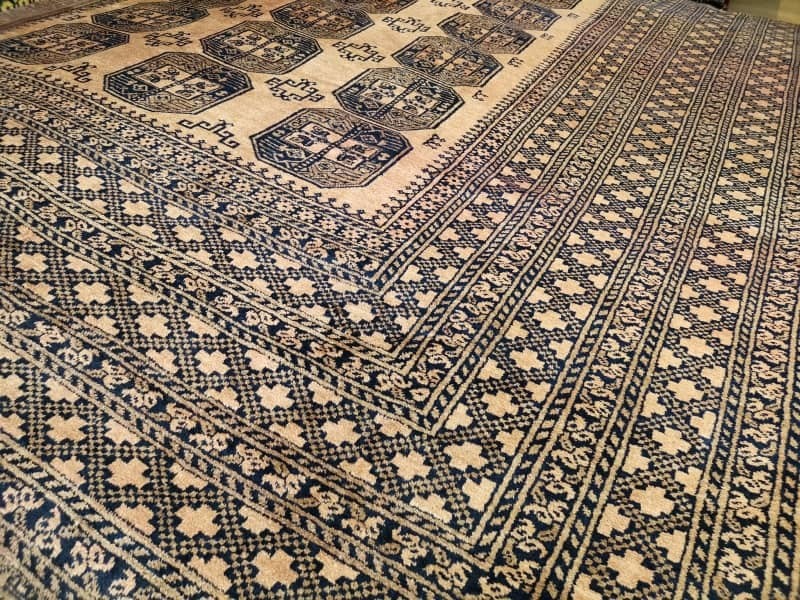 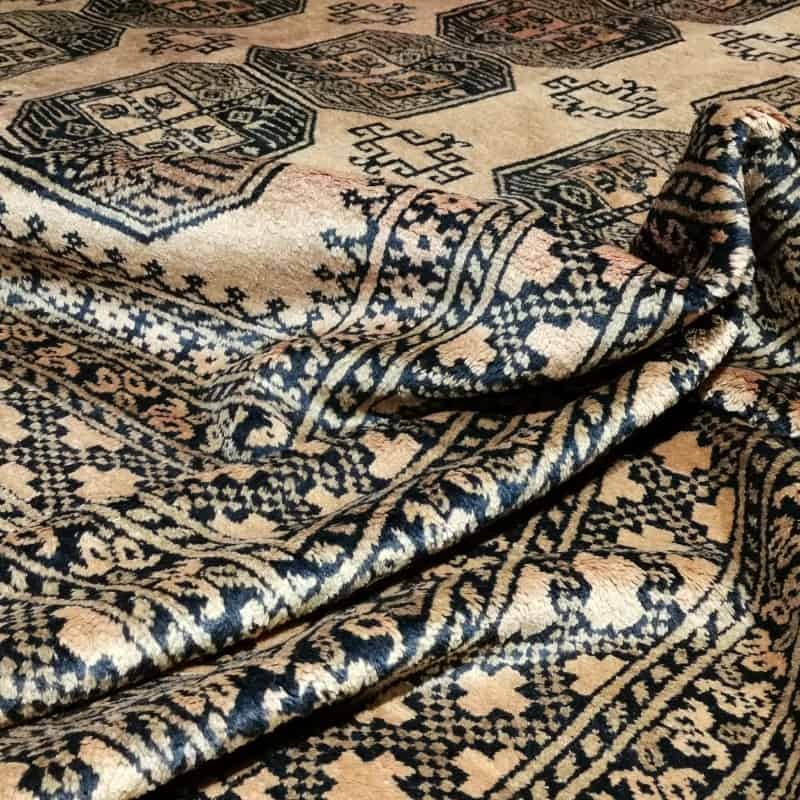 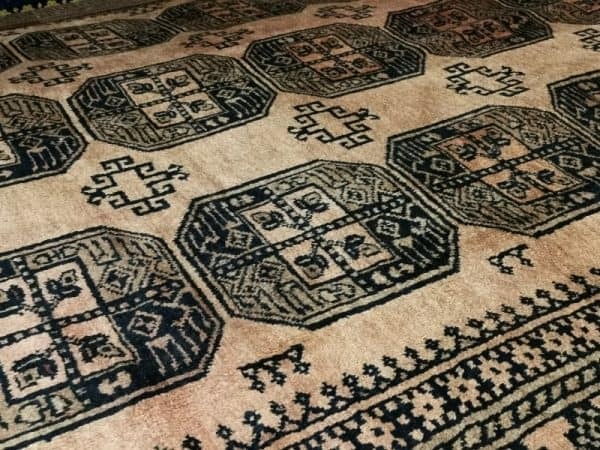 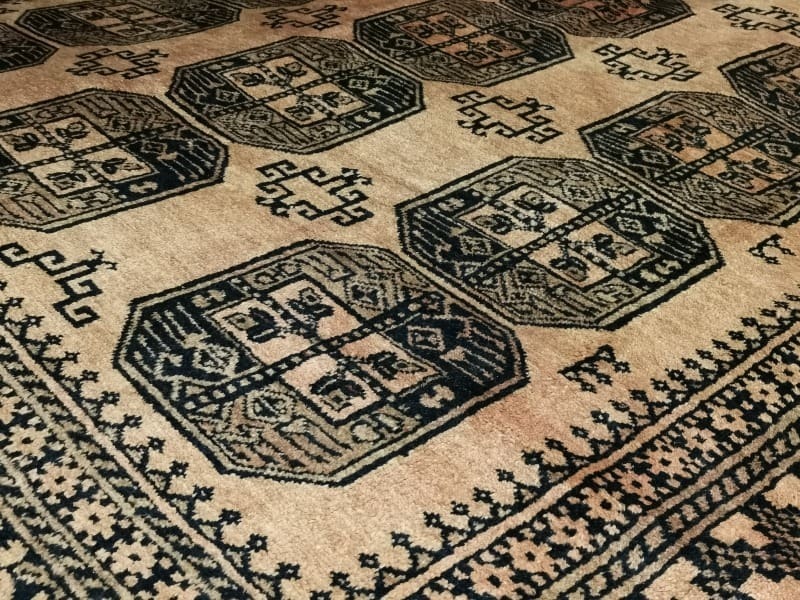 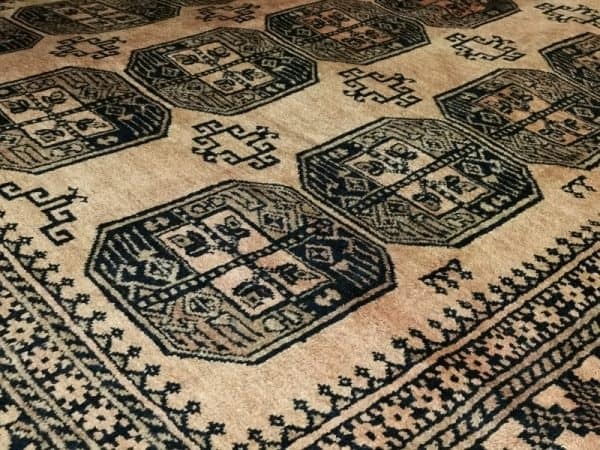 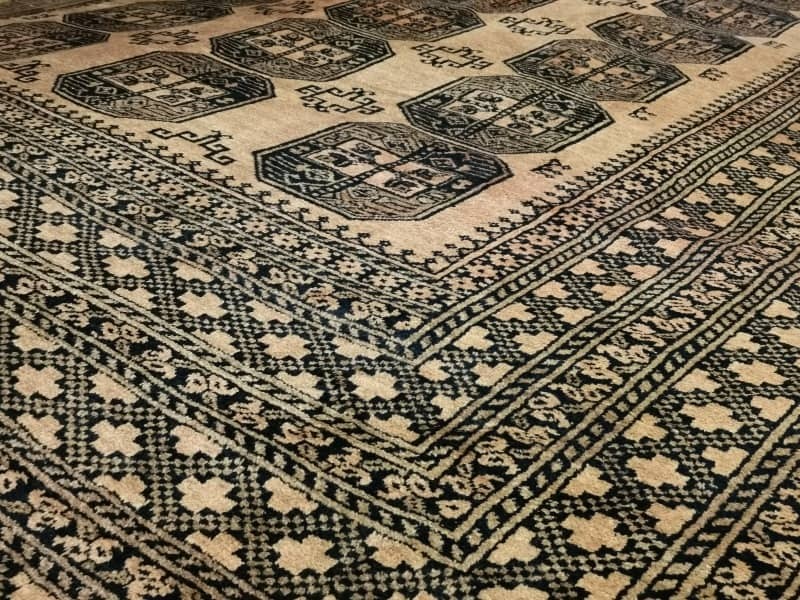 Typical for most Turkoman carpets is their geometric design made of wide borders and a repeating inner field with symbols called “Gul” The design of the Gul and the borders tell a lot, which tribe of Turkoman made the rug. 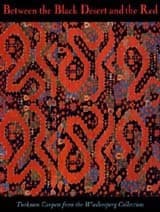 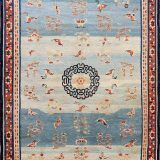 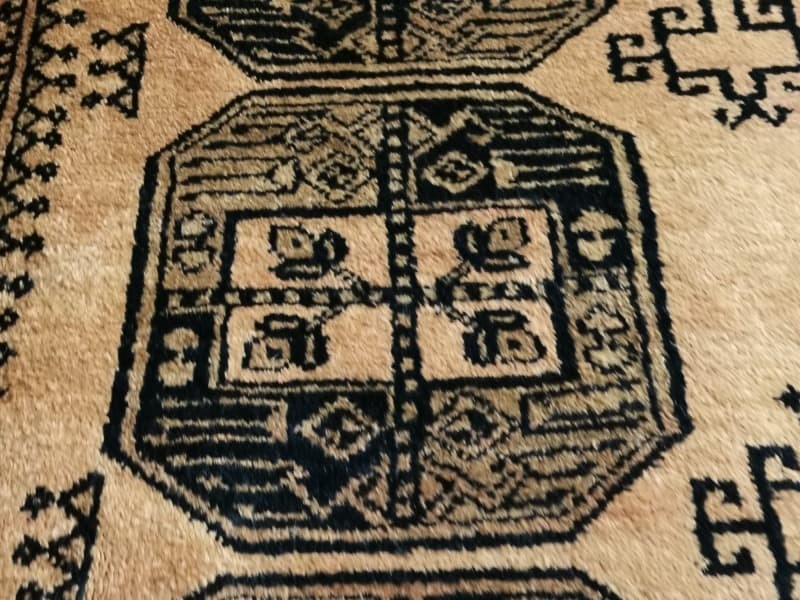 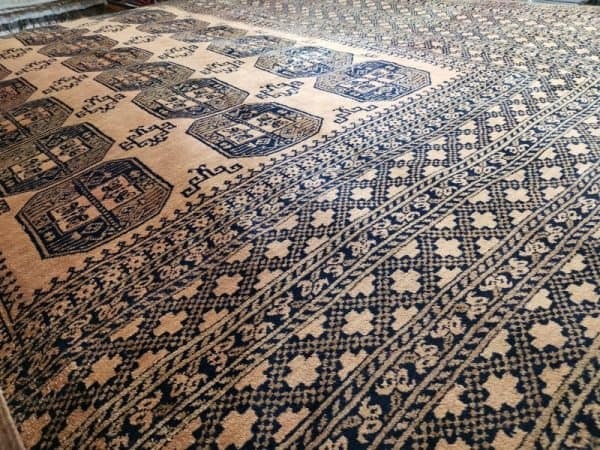 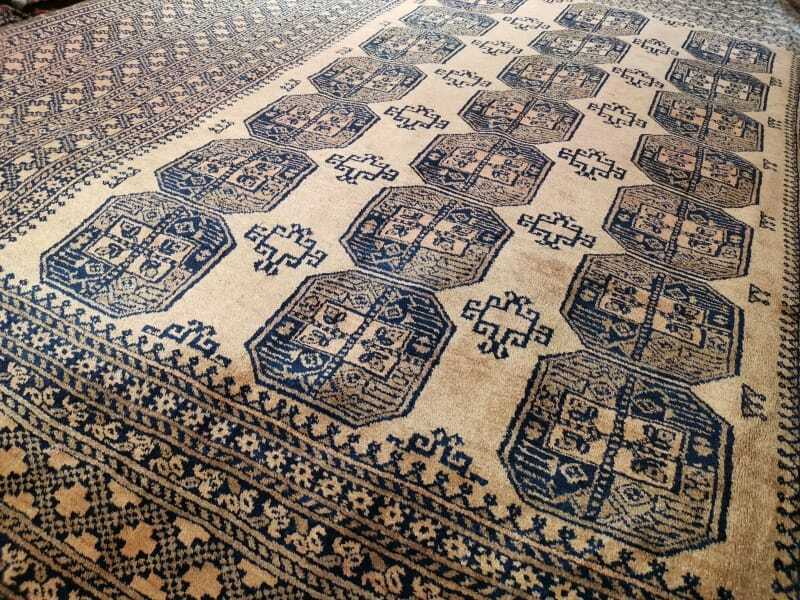 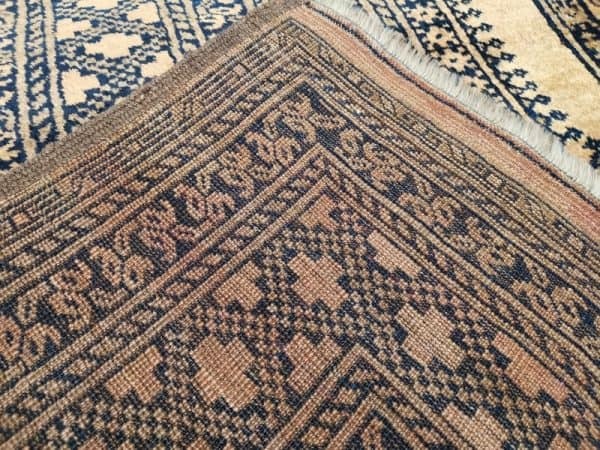 The rug listed has octogonal main Guls (eight edged) in 3 rows divided by smaller minor Guls. 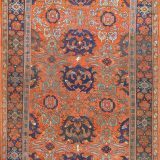 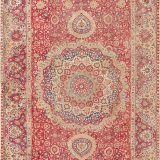 The golden / beige copper color is very unusual since most Turkoman rugs are made in a bright tomato red. 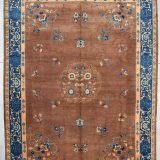 This one has a wool with silk-like shine, a color best defined as very light copper combined with brown motives. 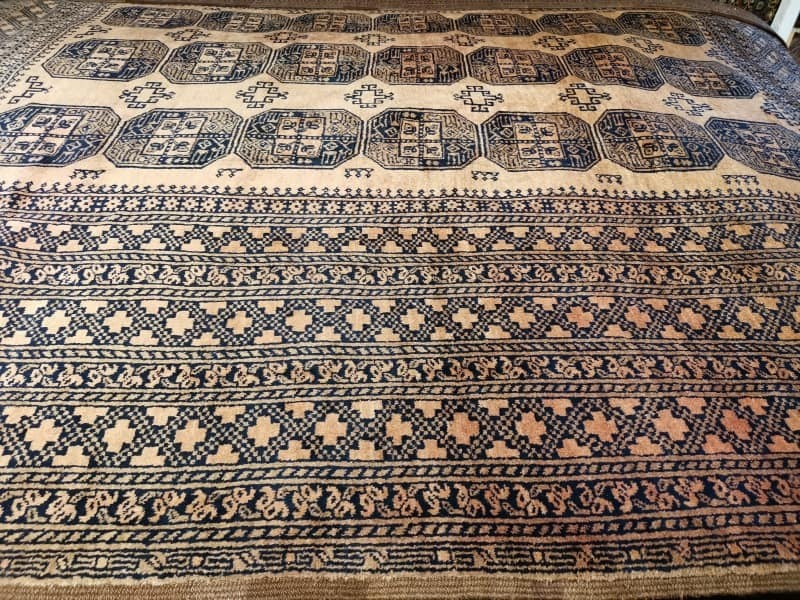 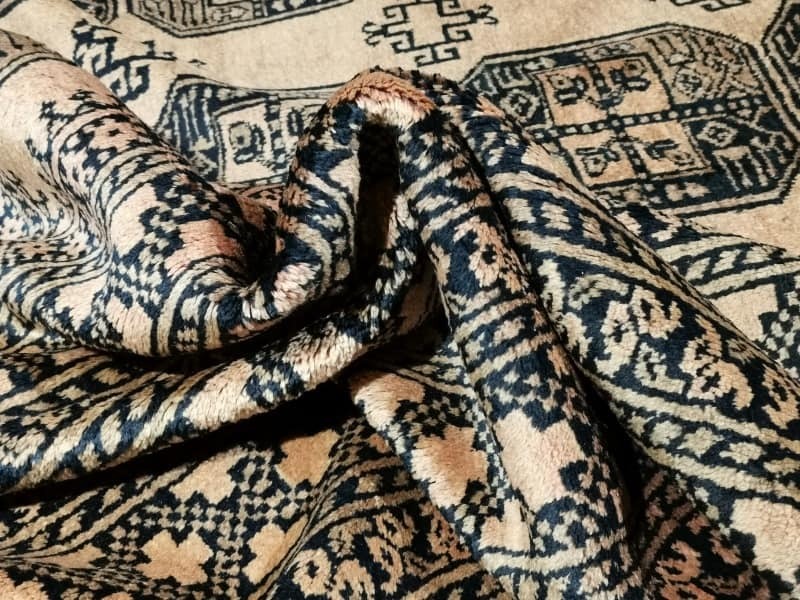 Since tribal people usually have smaller portable looms, it is normal that they make small rugs. 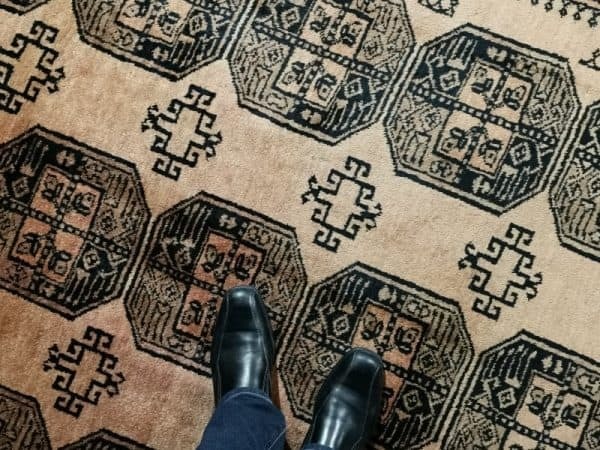 Most Turkmen rugs found are between 4 x 6 ft and 8 x 11 ft. For this reason, this 13 x 10 ft rug is a so called oversized or “Khan” rug = leader of highest nobility. 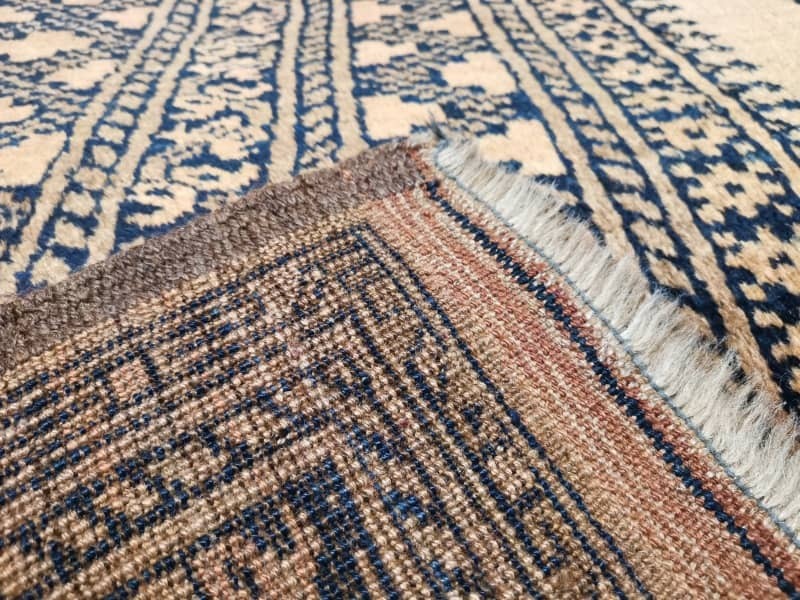 The condition of this beautiful rug is excellent. 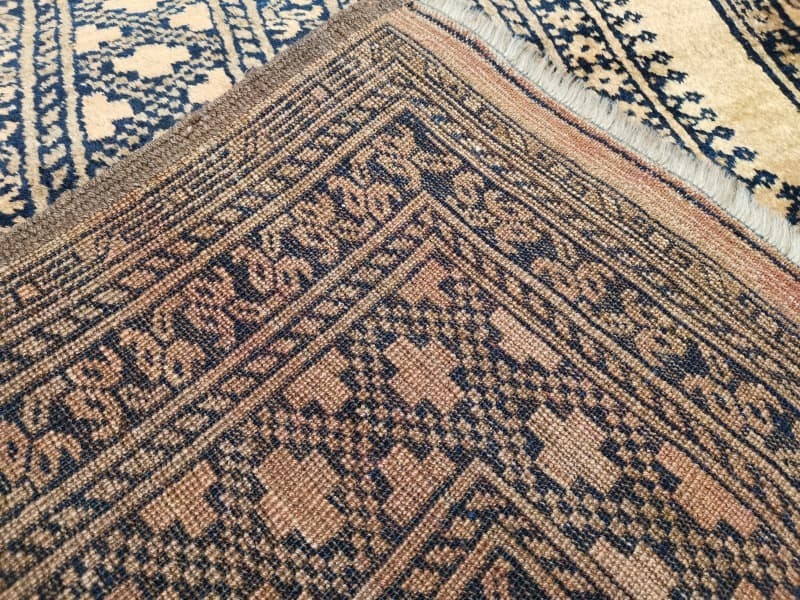 It has full pile, perfect fringe and selvedge. 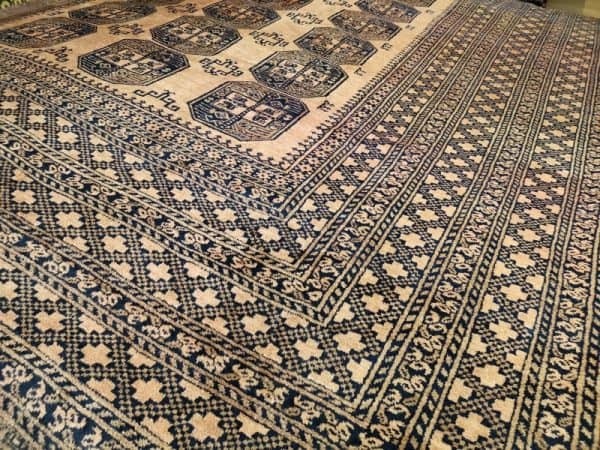 We ship our parcels via UPS to the address listed on your PayPal account. 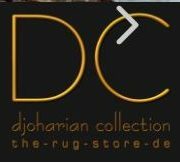 We ship within 1-2 business days, delivery usually within 3-5 business days after shipment left our shop. Our rugs are shipped from Germany.